The first thing you will need is a computer with storage to function as the plex media server. This is what will convert and stream your video to any device in your house. Once you add videos, it will download the cover art, and category information automatically. Now you will need to rip the video and audio from the entire library. This is usually the most painful and time consuming part. There are plenty of tools that will do this for you. You insert the disc and it will do the extraction and conversion. Power users can even change the settings so that they get bigger files and a little more quality. Now that you have a full digital movie library you can figure out where you want to watch these movies. Smartphones and tablets are covered with the plex apps. 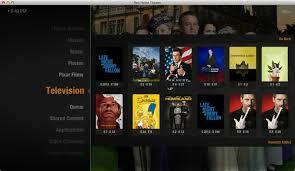 Newer televisions will come with smart software which will allow you to install the plex app on it. Alternatively if you are comfortable with browsing the library on the phone you can use Chromecasts and cast video directly to your TV.